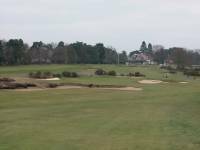 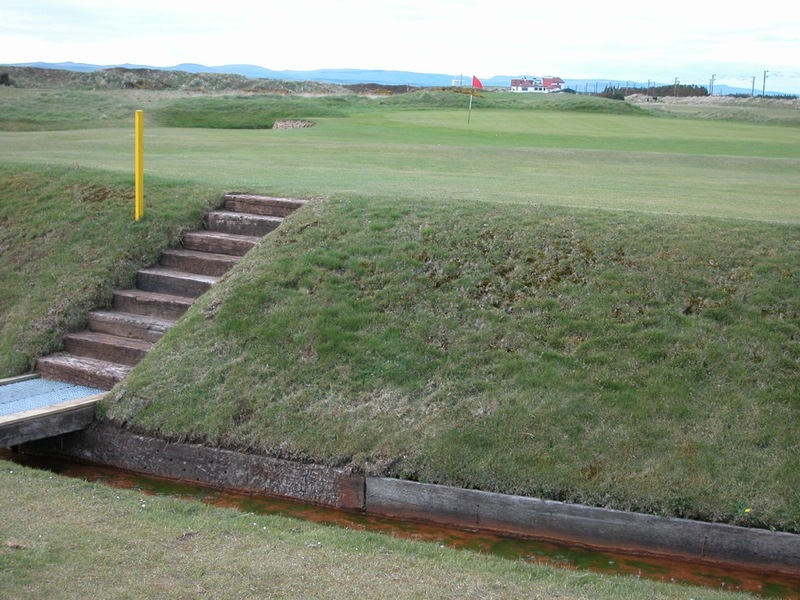 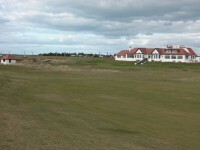 Western Gailes Golf Club in Ayrshire, Scotland might well have more “good references” than any other course in Scotland. 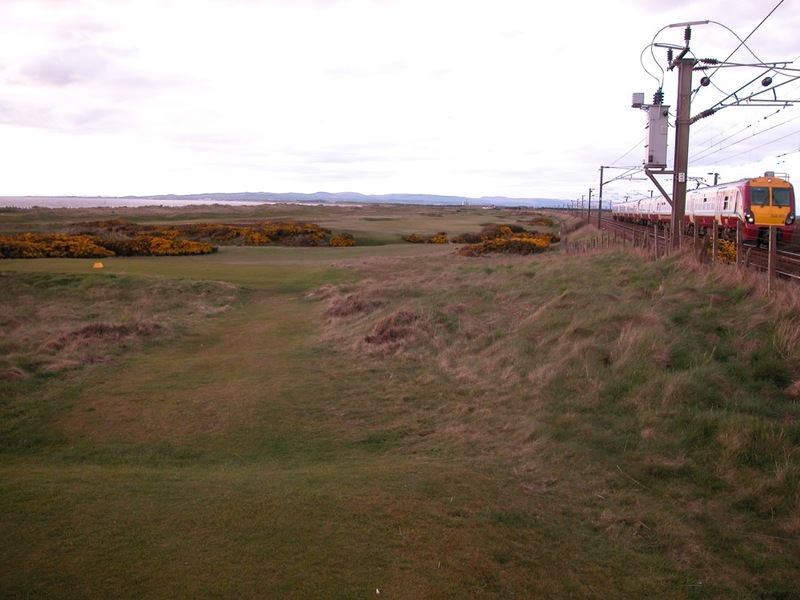 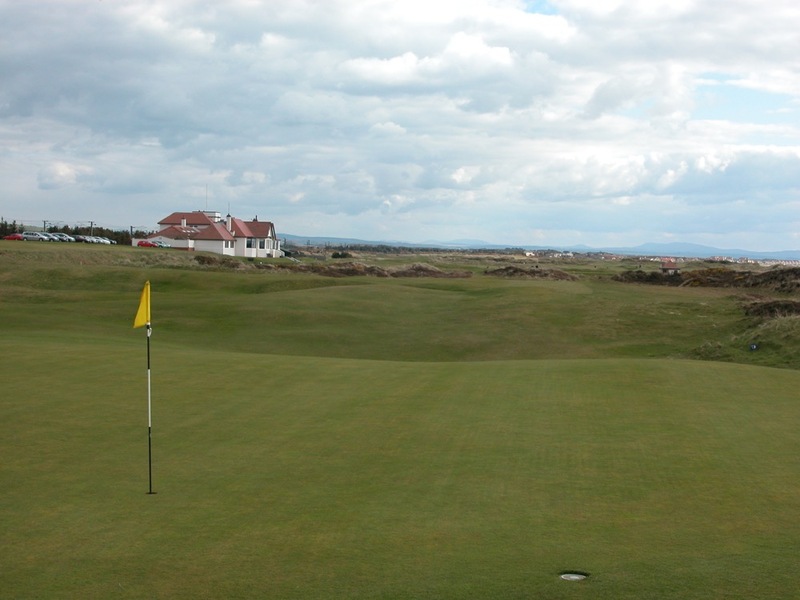 Because, if you ask many golfers who have made the circuit of Scotland’s great links which was their very favorite course, you may be surprised at the results because Western Gailes Golf Club, about 10 minutes north of Troon, frequently tops the list! 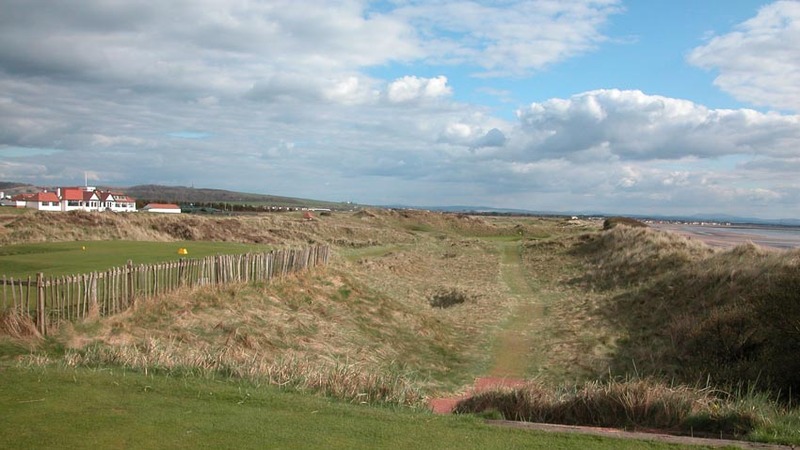 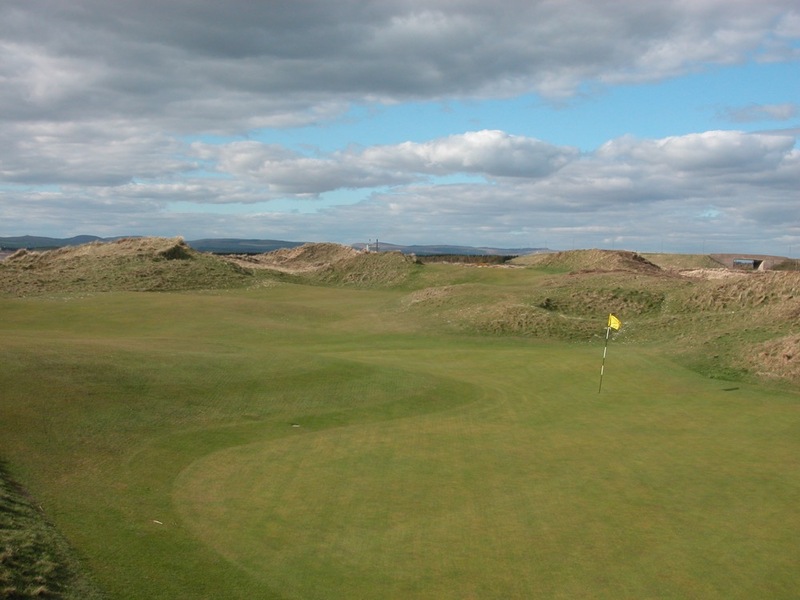 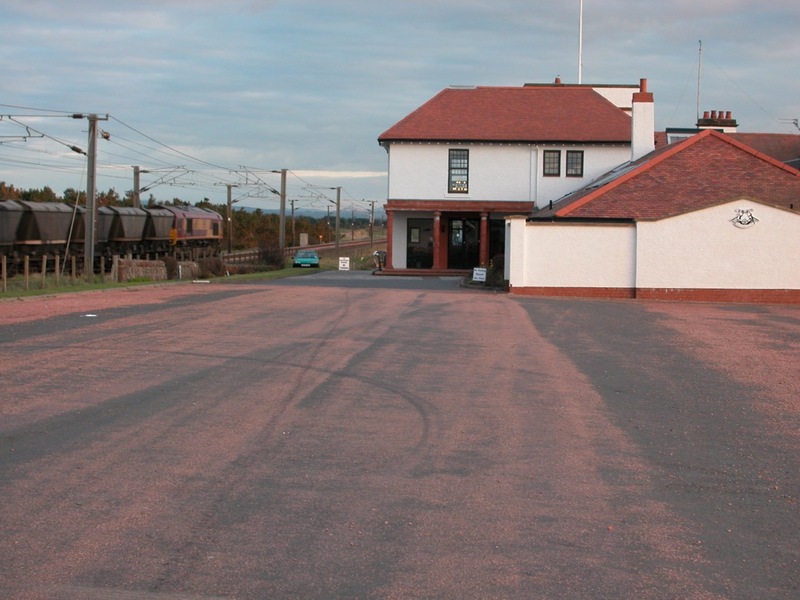 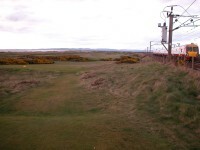 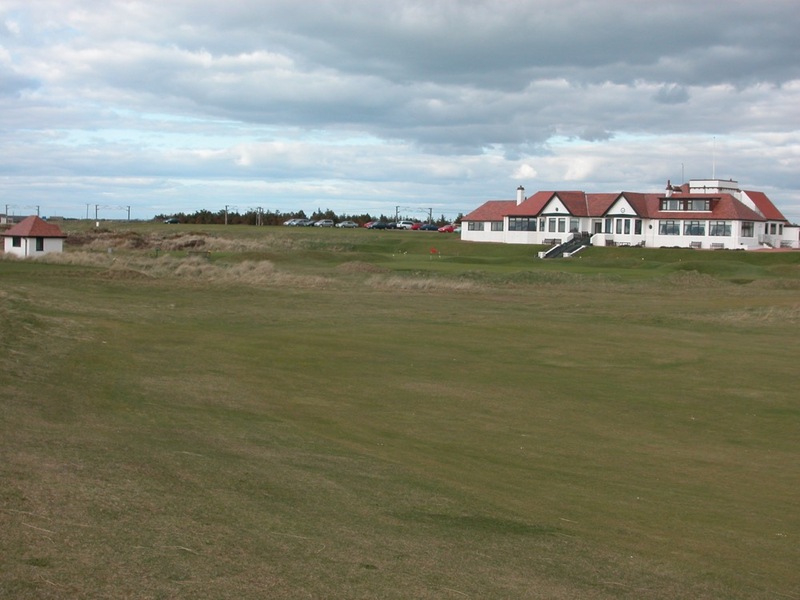 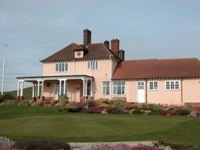 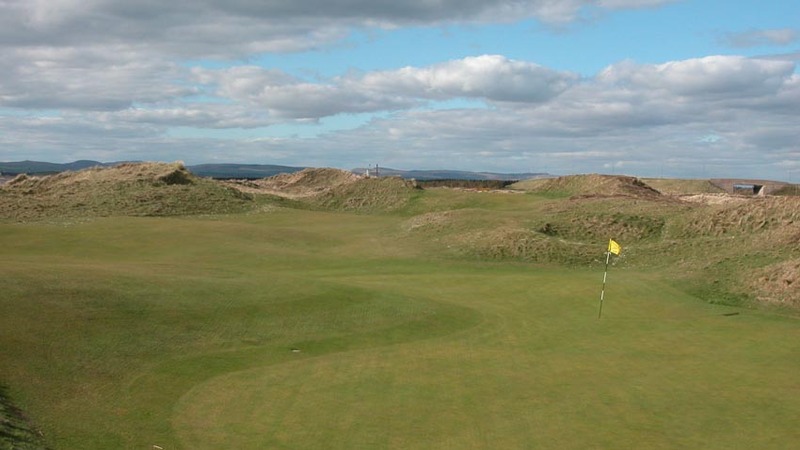 Although Western Gailes Golf Club is not normally mentioned in the same breath as the famous Open Championship venues, this glorious links, superbly located between the railway and the sea (with a wonderful entrance drive), is one worthy of great fame. 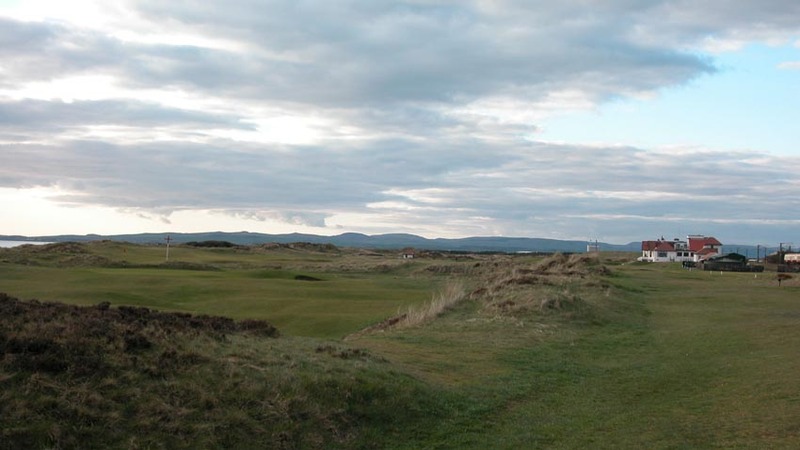 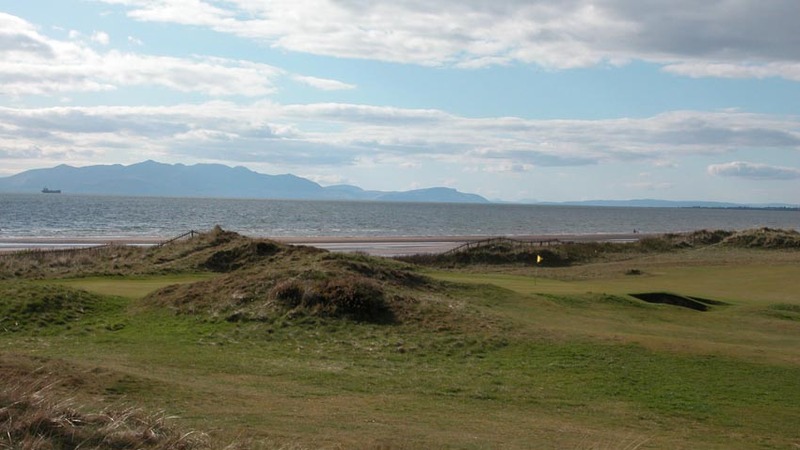 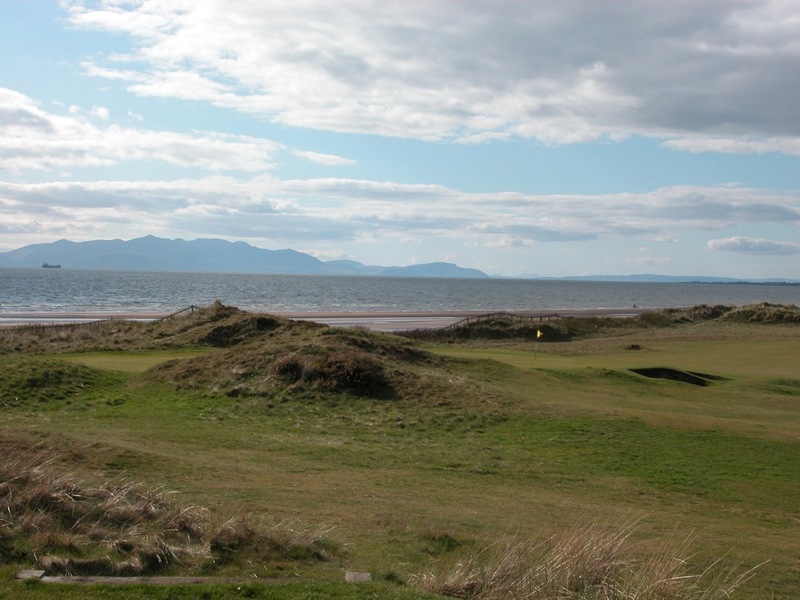 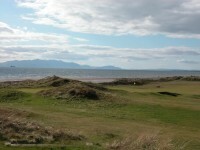 Western Gailes Golf Club is certainly Scotland’s original “hidden gem.” Large dunes, cunning burns, fast greens, and terrific views of the Isle of Arran combine to make Western Gailes a beautiful challenge. 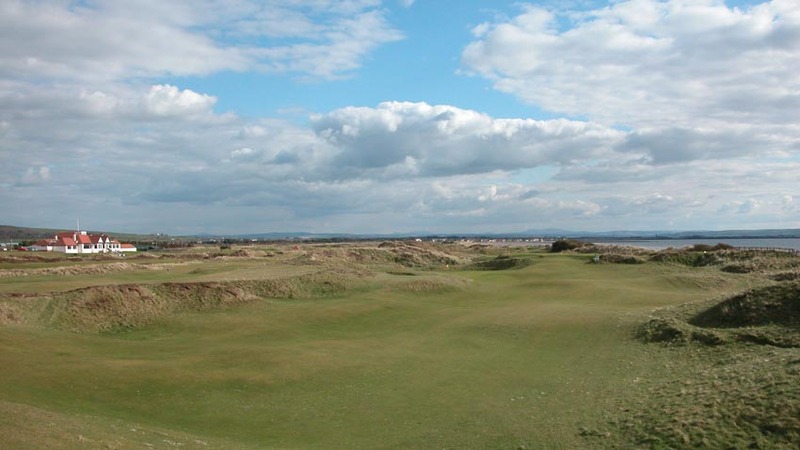 The Western Gailes layout, with the clubhouse in the middle of the 2-holes-wide linksland, offers an interesting twist on the traditional out-and-back design. 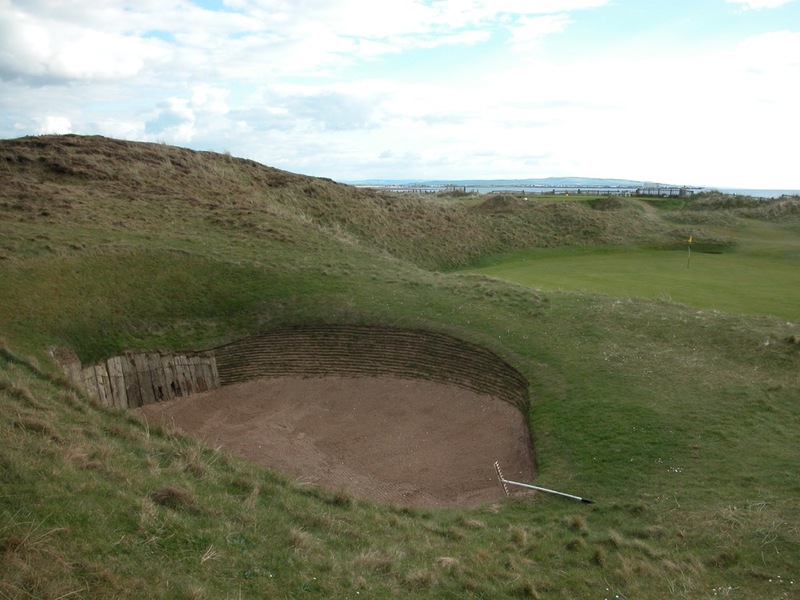 Our favorite hole at Western Gailes Golf Club is the 7th, the par-3 “Sea Hole,” with a green hidden between a mammoth dune on the left and the beach on the right, with a deep, sleepered bunker hidden high and to the left. 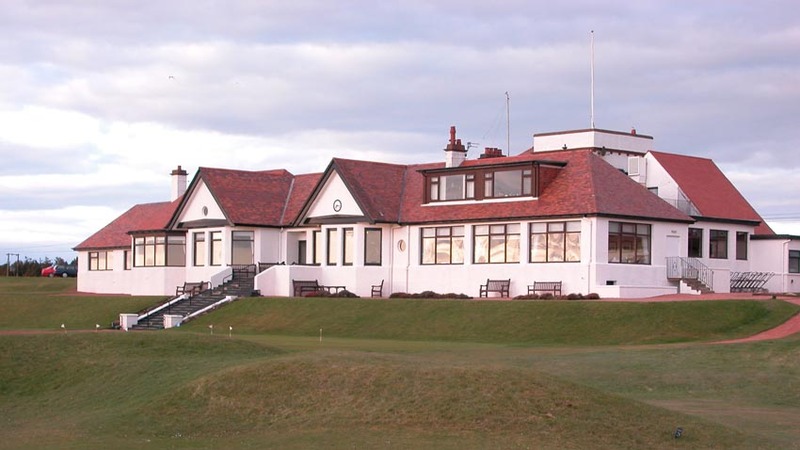 The links at Western Gailes Golf Club plays hard and fast, but the Western Gailes clubhouse should be played slowly, as it is a classic with one of the great locker rooms, and a cozy Smoke Room. 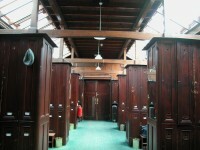 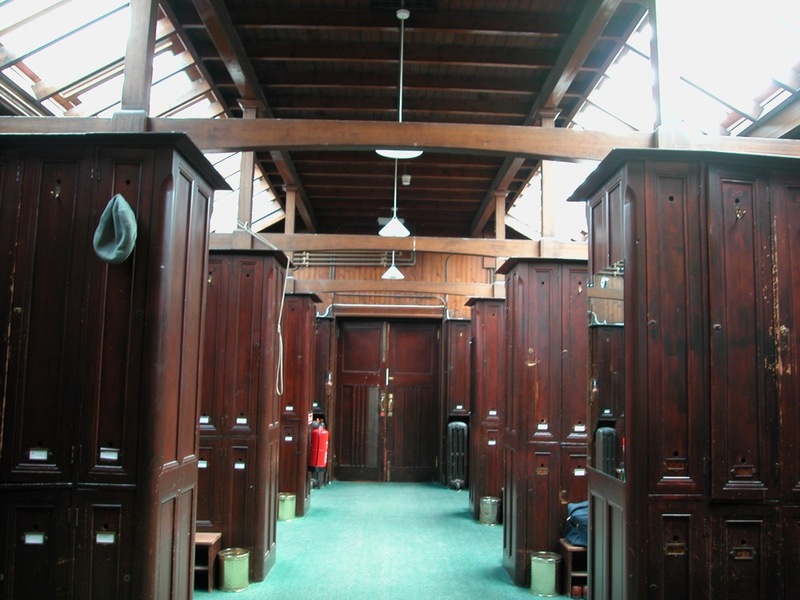 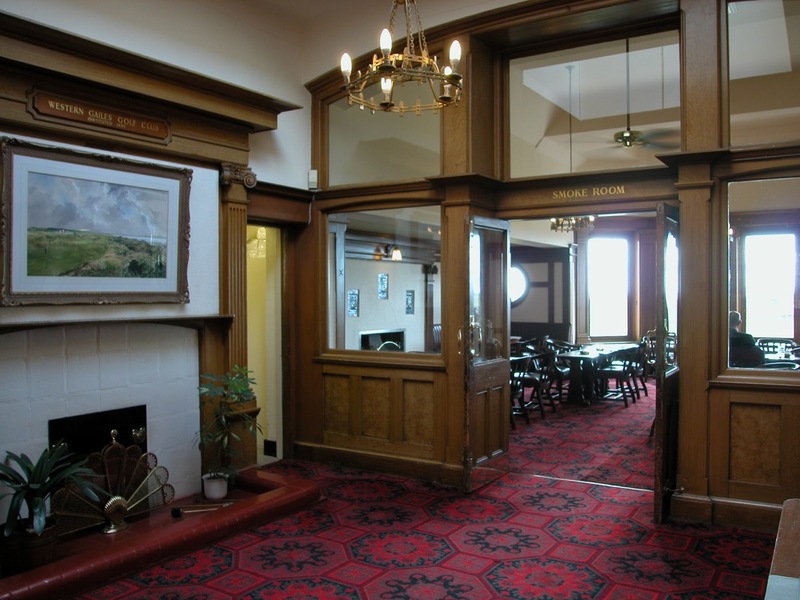 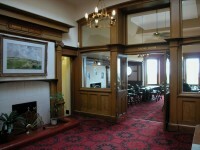 Upstairs is a memorable club museum, with artifacts and photographs from Western Gailes’ illustrious past. 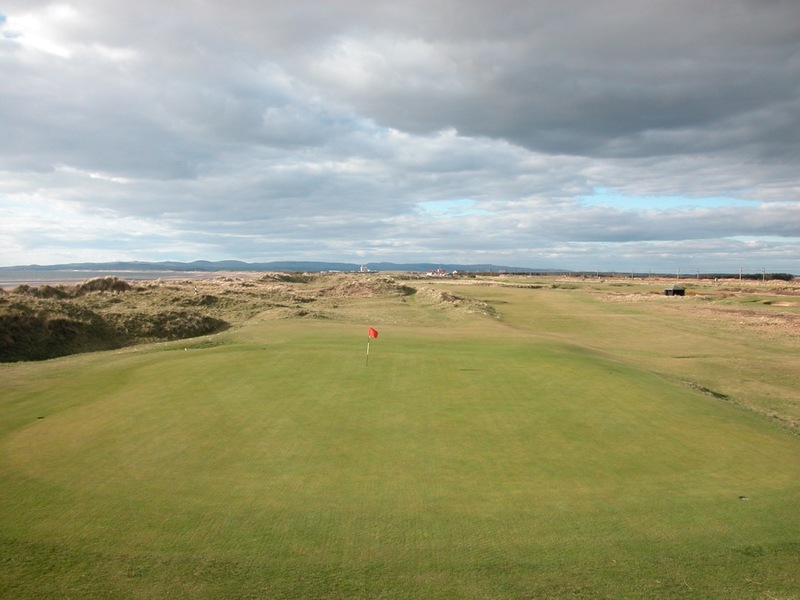 One of the greatest of the Open Championship Final Qualifying Venues, Western Gailes Golf Club is worthy of the Open itself! 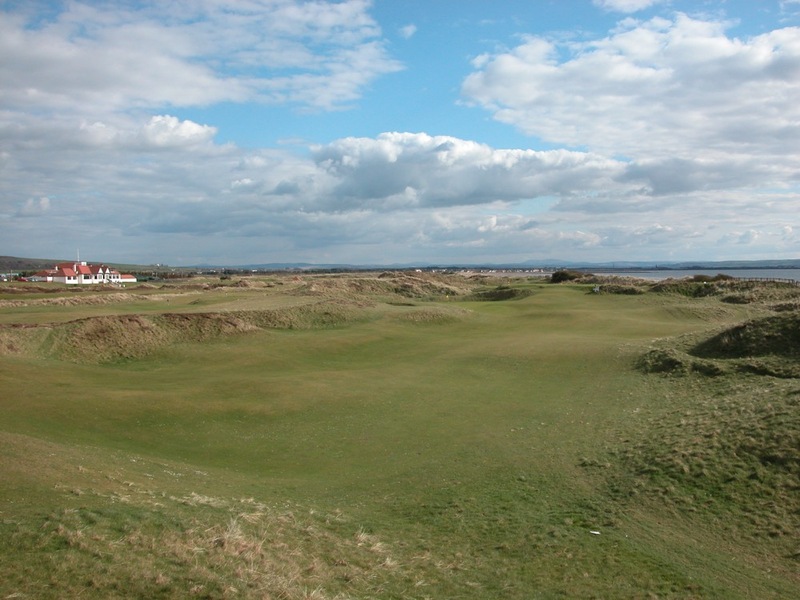 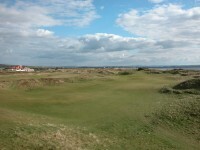 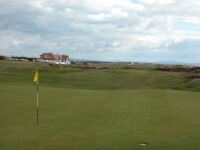 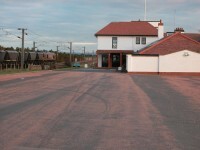 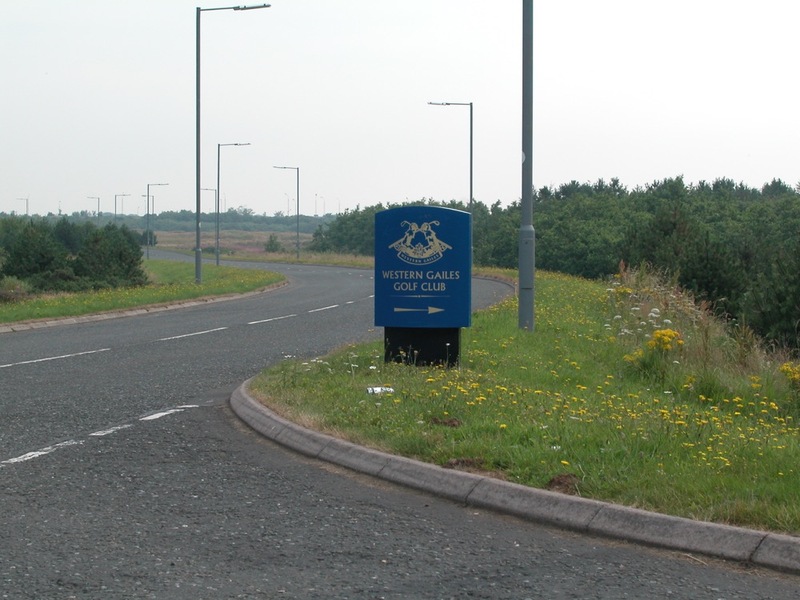 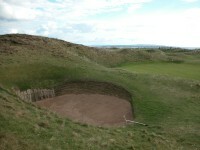 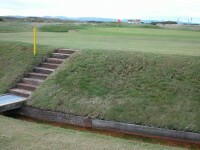 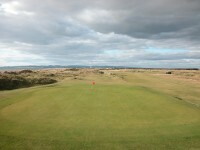 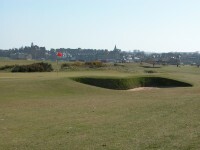 Do not miss Western Gailes if you are visiting Scotland’s west coast!